Relax, There's No Wrong Way To Use Essential Oils. FREE Ebook! You’re About to Discover How Essential Oils Can Bring More Wellness, Purpose, and Abundance to Your Life! Learn why you can't "do it wrong." Eliminate any fear of wasting or misusing precious oils. Access the intelligent "Life Force" of plants, even if you've never used essential oils before. Find out how everyone learns from "mistakes" -- including several examples of hidden benefits. Gain confidence choosing oils that work! Three simple steps to make you an expert in no time. 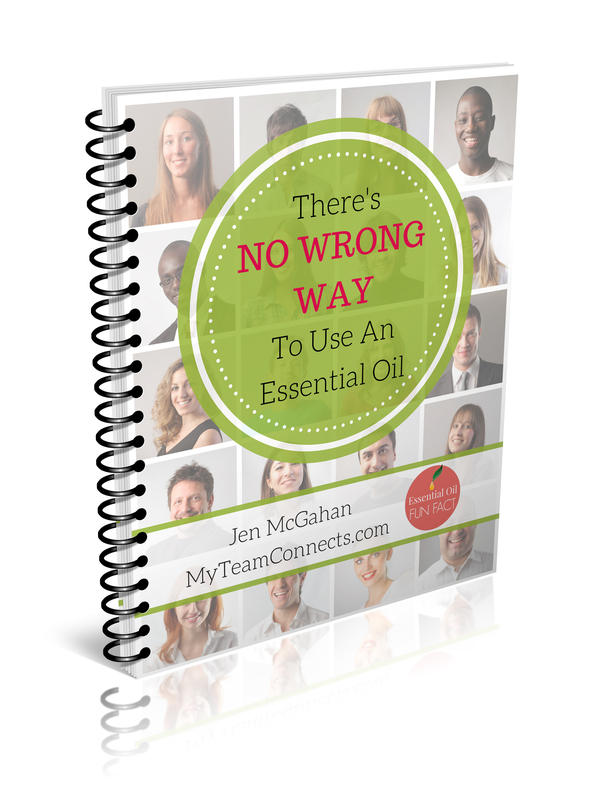 How do you know the right way to use essential oils when there are so many choices? Everyone's talking about essential oils these days, but as a new user, you might be daunted by the wide selection; what on earth to do with them; and most importantly, the fear of making mistakes. This 10-page ebook walks you through the your first days as a new oils user, and shows how plant oils are designed by the Creator (or however you choose to describe your higher power; Mother Nature, or God...) to outsmart human "mistakes." Learn why you just can't do it wrong, and discover how unconventional use can even be beneficial! Click below to get the FREE digital download. You'll also gain access to My Team Connects' Content Library full of resources for building a thriving online business, and a work-from-home lifestyle of true freedom and wellness. Please subscribe to gain access. Already a member? Please sign in to gain access to the ebook.